Despite my brief brush with the flu, I was finally feeling more like myself today–> just in time to have a few friends over for a Superbowl watching party. Normally, I’m not much of a football fan, but I can’t help but get swept up in the big game! It ended up being quite the nail-biter at the very end, too. And it’s not a Superbowl party without lots and lots of food, right? 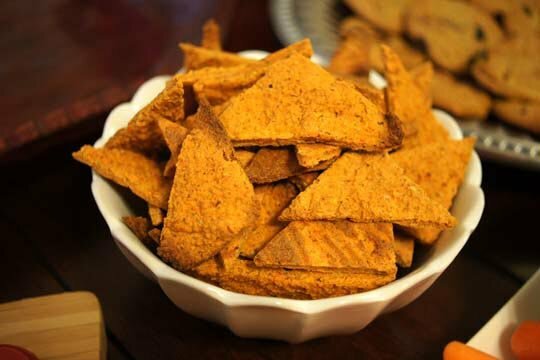 Since some of our friends are still following a modified Paleo diet, and others are not, we asked everyone to “bring your own snacks” to share– so everyone could have something to munch on. 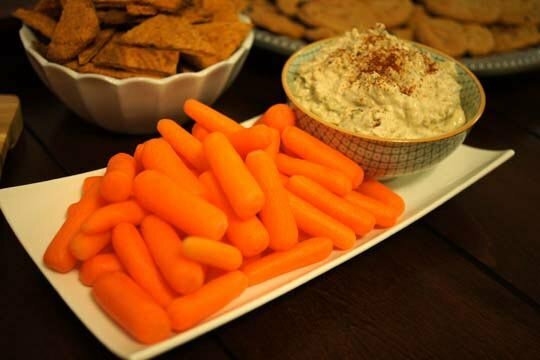 “Sour Cream” & Caramelized Onion Dip with baby carrots. <–this was a surprising hit, even with non-goat-cheese lovers! 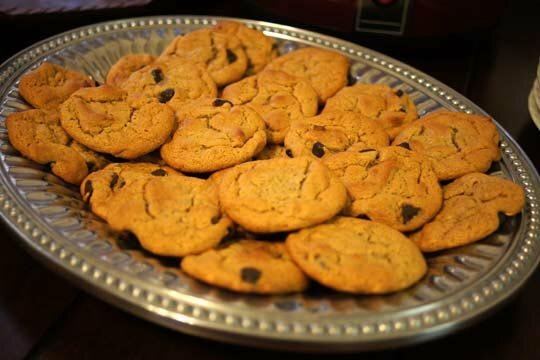 And Flourless Peanut Butter Chocolate Chip Cookies, which were probably the biggest hit… only 2 were left by the end of the game! …and I think everyone was covered! Stay tuned for the cookie recipe–> I’m pretty sure I never need to make a traditional cookie again. Ever. Reader Feedback: How did you spend your weekend? Any fun Superbowl activities? I’m glad you’re feeling better. All the food looked delicious! I hope you have a great week! I made the onion dip too and it was a big hit with everyone. So yummy! Thanks for the recipe! 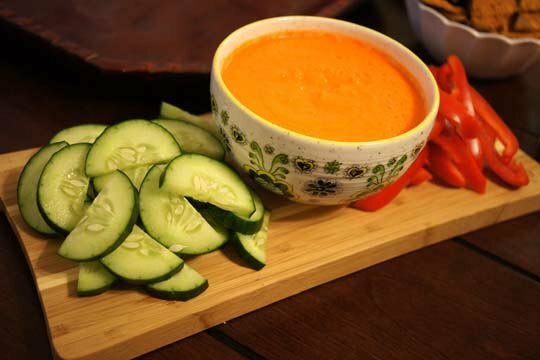 I haven’t posted that exact recipe yet, but this Carrot-Ginger dressing is very similar!